Product prices and availability are accurate as of 2019-04-21 21:39:31 UTC and are subject to change. Any price and availability information displayed on http://www.amazon.co.uk/ at the time of purchase will apply to the purchase of this product. 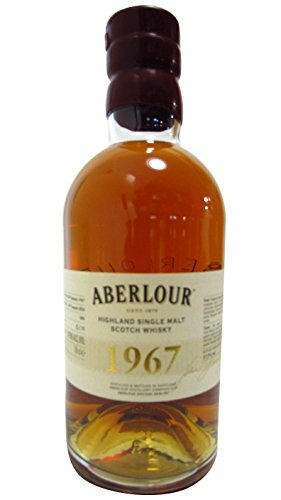 The Single Malt Whiskey Store are proud to stock the fantastic Aberlour - Single Cask #480 - 1967 40 year old Whisky. With so many on offer these days, it is good to have a make you can recognise. 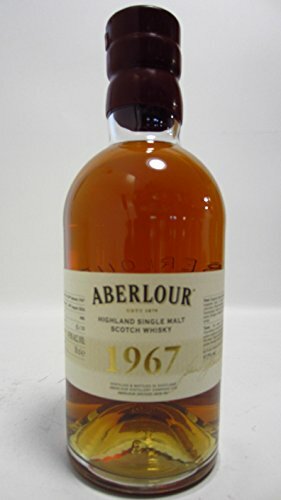 The Aberlour - Single Cask #480 - 1967 40 year old Whisky is certainly that and will be a perfect acquisition. For this great price, the Aberlour - Single Cask #480 - 1967 40 year old Whisky is widely recommended and is a popular choice with lots of people. 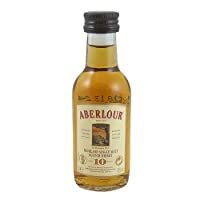 Aberlour have included some nice touches and this results in great value. Colour: Gold backed with hints of shimmering Linden bark. Beautiful clarity. Nose: Fragrant, intense, delicious. Swirls of sweet cream. Beeswax, creamed coconut. Fresh mandarin. A touch of white chocolate. Ripe and juicy fruit. Yellow peach and apricot. Surprisingly fresh herbal aromas. Tarragon infused in vanilla syrup. Muntok white pepper. Palate: Crisp, almost like coarse silk. Mellowness makes itself slowly known. Notes of vetiver and dry nuts. Oak, mixed with citron bark, reveals its lustre with firmness and elegance. Finish: Dry, spicy. Ginger, Szechuan pepper. It fades gently with soft notes of almond milk.